Did you know that 76% of Americans live paycheck to paycheck? Or that 64% of Americans can’t cover a $1,000 emergency? This doesn’t have to be true for you! All you need is a practical plan for your money—and Financial Peace University IS that plan! 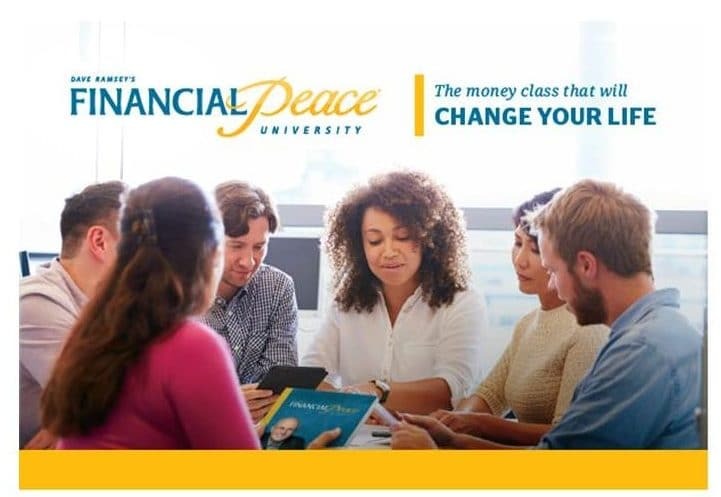 Trinity is pleased to offer Financial Peace University created by Dave Ramsey, a course specifically designed for faith based communities. The course begins on Sunday, September 16th, in the TPC library from 5:30 to 7:00 p.m. It will meet for nine Sunday evenings. Beginning September 16th and ending on November 18th. No class on October 21st due to the Stewardship event on the same day. The primary presentation of each meeting is a video featuring Dave Ramsey and his associates. The videos are fast paced and informative. In nine easy-to-follow lessons, you’ll learn how to get out of debt, create a budget, make wise spending decisions, save for the future, and so much more! Childcare provided. Pastor Mally and I are encouraging every couple with whom we meet for marriage preparation to consider this an essential step for building a successful life together. Headed to retirement? It will help you avoid expensive pitfalls in this key life transition. Don’t know what insurance is needed at different points in your life? It will offer useful advice. Confused about renting or buying a home? It offers sage counsel,” says Pastor McCoy. The cost is $80 per family unit if you register through the button labeled “Register for Financial Peace.” (If you register through the Dave Ramsey Financial Peace University website it will be $93.00 plus shipping.) You will receive a book, Dave Ramsey’s Complete Guide to Money, a budgeting workbook, and envelope system for maintaining a budget, memory guides, and an internet link to Dave Ramsey’s website with many valuable resources. If you must miss a class, these materials will keep you caught up with the class. Returning students who previously paid and have materials are free. Don’t delay it and register today! If childcare is needed, contact Helen at hfitzhugh@tpcmckinney.org.